When it comes to style, Kwikset’s Obsidian touchscreen deadbolt door lock is a far cry from their Kevo lock that I reviewed last year. 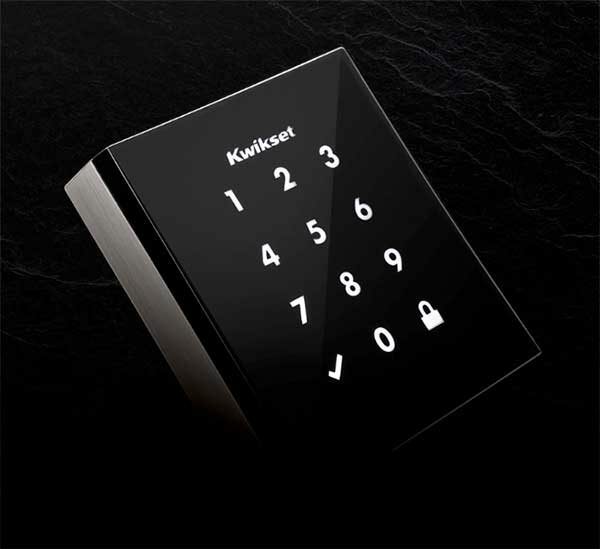 This new lock has a modern style that features a low profile white LED touchscreen keypad that doesn’t require a physical house key. You do not need a mobile app to use this version of the Obsidian electronic deadbolt lock. It’s an analog lock where it’s up to you to create the security code. But, Kwikset plans to release Obsidian with Home Connect technology later this year. Head over to kwikset.com for all the details. Obsidian is available for purchase now from Amazon for $179.